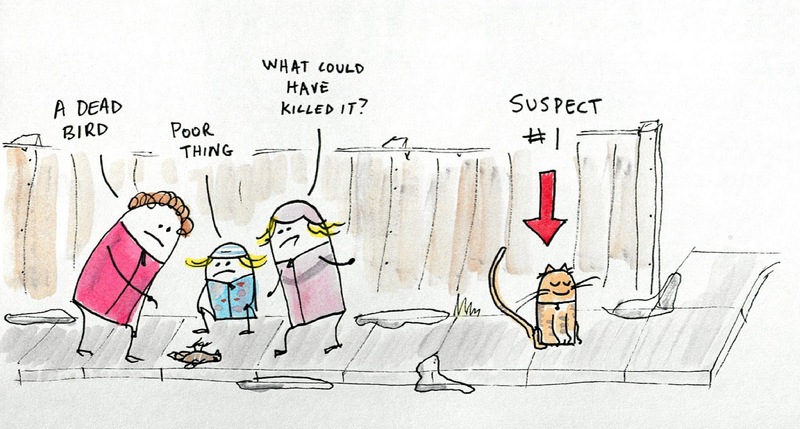 Ladies and gentlemen: the perfect crime. Across the street, someone had pulled the stop sign right out of the ground. There was also a discarded Christmas tree. The kids had several working theories about how the sign, tree, and bird were related. Some of the theories involved the bird flying very fast and slamming into the sign. A more popular theory pointed the finger of blame squarely at Rowdy Teenagers. No one suspected the cat found sitting seven paces from the corpse.